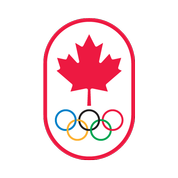 (Ottawa, Ontario – October 20, 2017) – The Canadian Centre for Ethics in Sport (CCES) would like to alert the Canadian sport community that the World Anti-Doping Agency (WADA) has published the 2018 Prohibited List. The List will come into effect on January 1, 2018. The 2018 Prohibited List and the Summary of Major Modifications and Explanatory Notes are now available for download on WADA’s website in English and French.